GORGEOUS Ocean Ranch home located MINUTES from the beach and within guard gated community! 3 Bedroom/4 Bathroom estate offers over 3,000 SF of space and stunning upgrades. Enter through a formal stone walkway and step into a grand foyer with high ceilings and wall to wall windows. Formal living and formal dining room are perfect for guest entertainment. 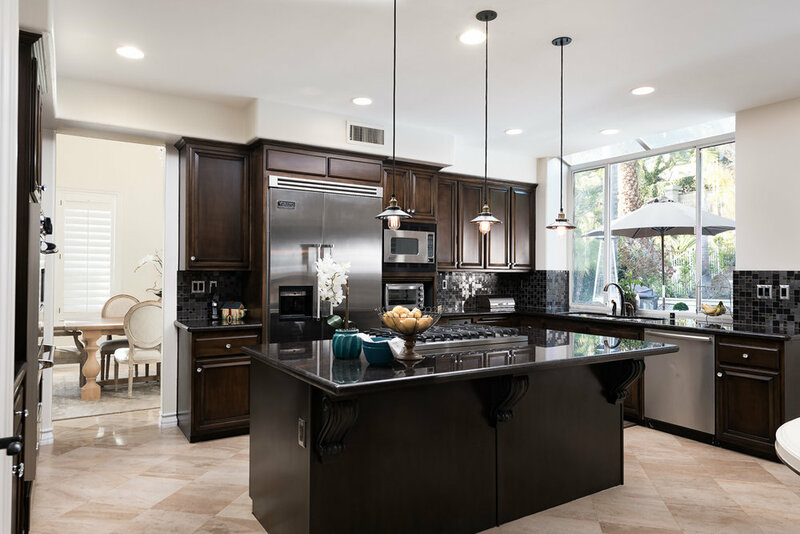 A chef enthusiast can take pride in gourmet kitchen with upgraded stainless steel appliances, 6 burner stove, and counter top seating on over sized granite island. Step out into a resort-style backyard oasis with outdoor patio seating area next to stone finished fireplace, underground pool/jacuzzi, built-in BBQ, and lush landscaping. Sweeping iron staircase leads to additional upstairs bedrooms offering generous space, plantation shutters, recessed lighting, and french doors. Master suite is nothing short of luxury with grand fireplace, designer finishes, and premium wood flooring. Master bath is modernly upgraded with separate soaking tub, huge walk-in shower with custom tiling and seating area, his/her sinks, and over-sized walk-in closet. Other notable features throughout the home include designer paint, recessed lighting, and elegant chandeliers. Take advantage of this home's perfect location! Minutes from Dana Point harbor, Monarch Beach, downtown Lantern District, and more. Welcome home!